GreenPowerMonitor, now part of DNV GL, will join its colleagues at AWEA WIND POWER in Chicago, Illinois, starting on Monday May 7th. All of our executives will be attending and invite you to stop by Booth #4019. 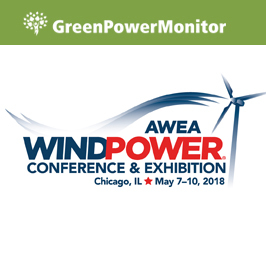 GreenPowerMonitor has a lot to showcase at AWEA WIND POWER with some outstanding new tools we have developed and integrated into our GPM Solutions. Also, please let me know if you are not planning on attending this year’s AWEA WIND POWER. We would love to schedule a face to face visit with you at your office following the show.